We are the leading manufacturer and supplier of an extensive range of Gravure printing roller by keeping track with the market development. We are offering optimum quality Gravure Printing Roller with design, durability, consistency, It is also available in different sizes and other related specification. Our offered roller is manufactured by a team of our skillful technicians utilizing quality proof raw-material with high technology. It is manufactured under the guidance of a quality controller. It is tested on various parameters for the functioning of roller faultlessly. We supply rollers as per the requirement and specification of the client using high grade synthetic rubber. We also provide many different types of roller for an industrial requirement. 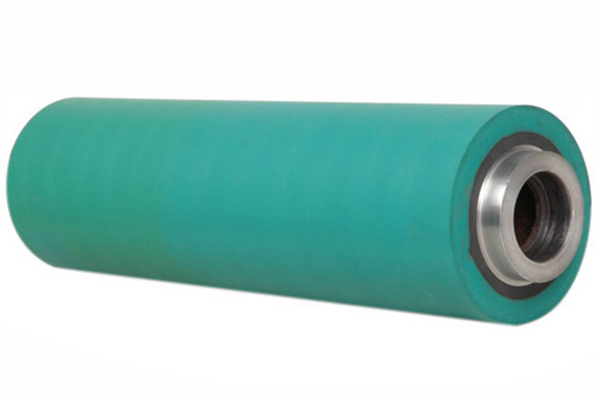 These Gravure rubber roller is having a unique groove pattern on rubber surface with its cushioning and resonance of rubber grooved spreader roller is achieved for handling delicate films during wrinkle removing without any damage. As other rollers such as polyband expander, rubber expander roller are not suitable for this as the web is having a very delicate layer of a metalized, grooved roller. All Conventional sizes as required.